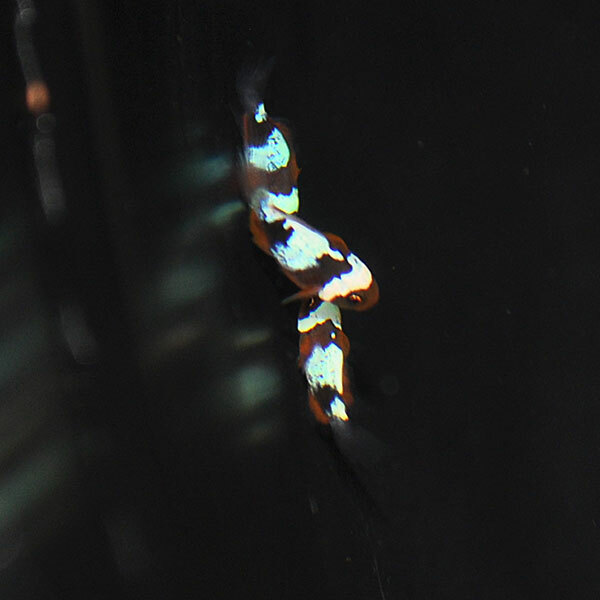 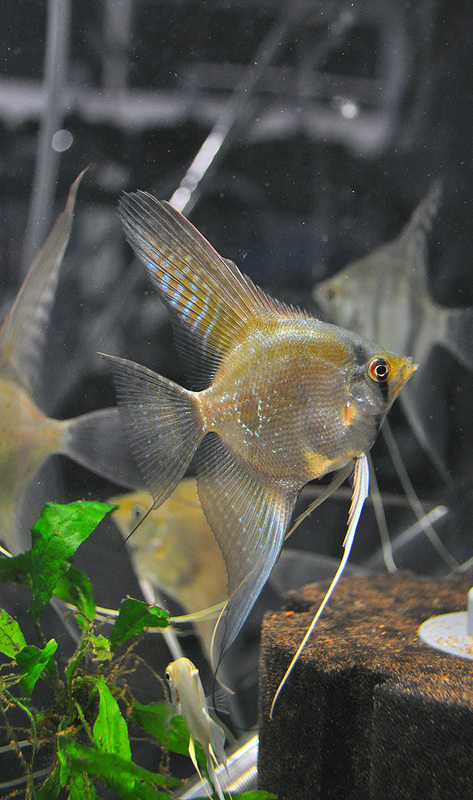 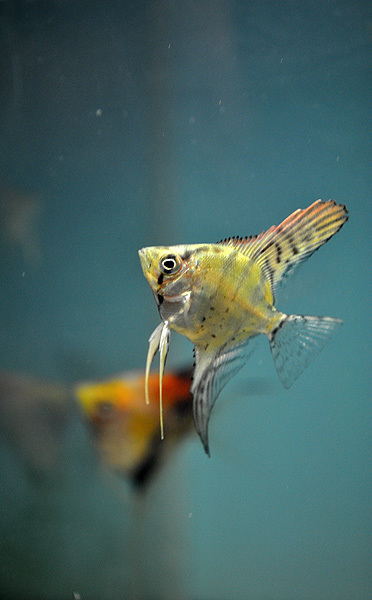 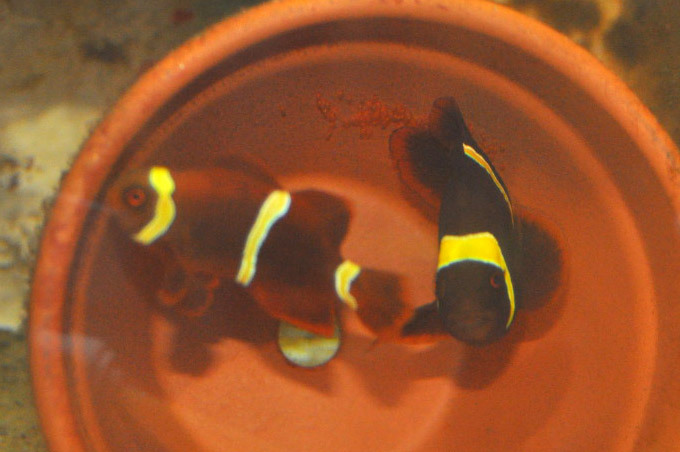 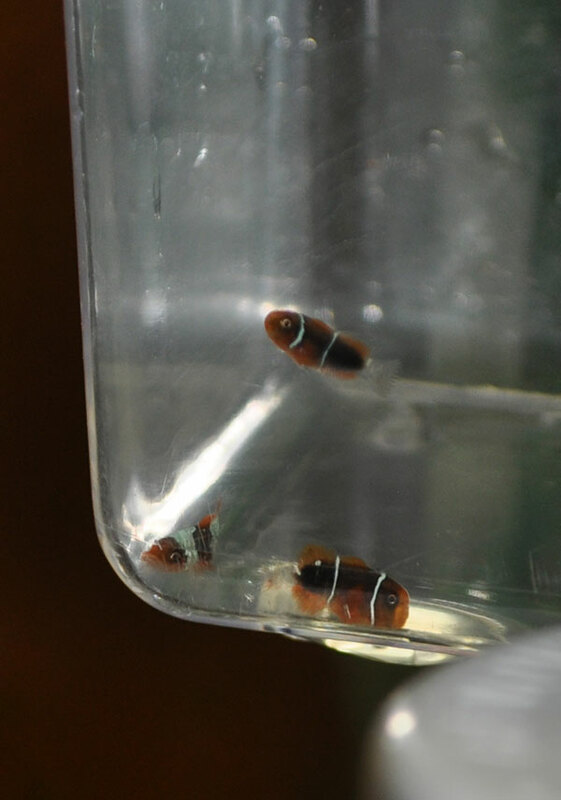 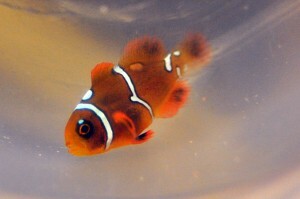 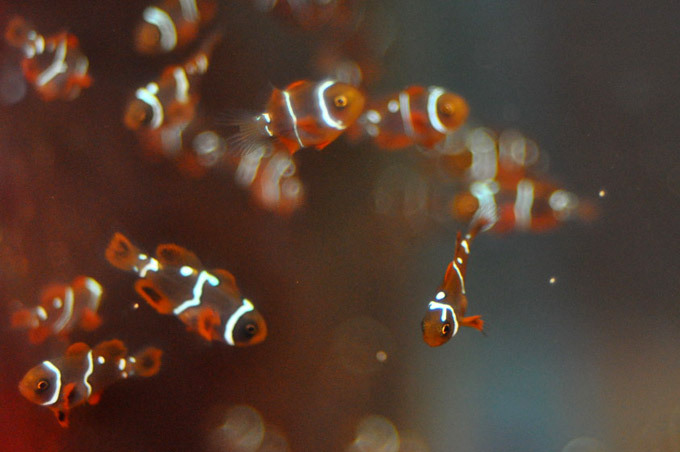 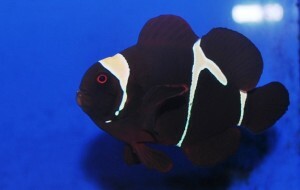 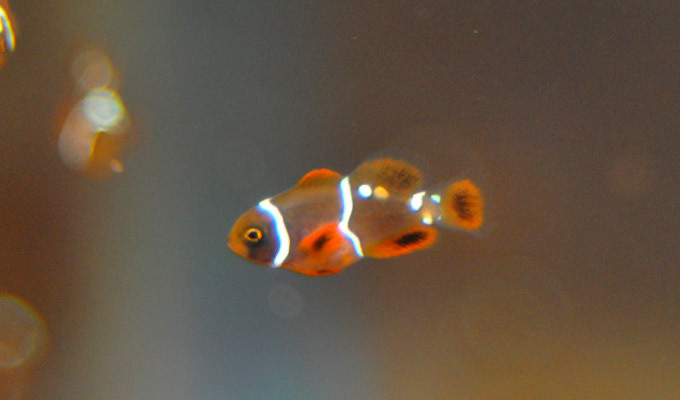 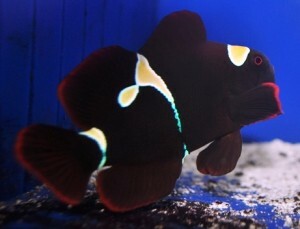 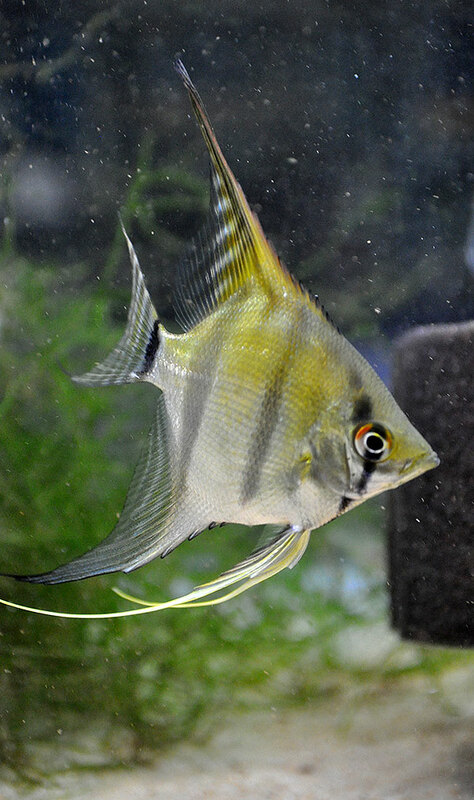 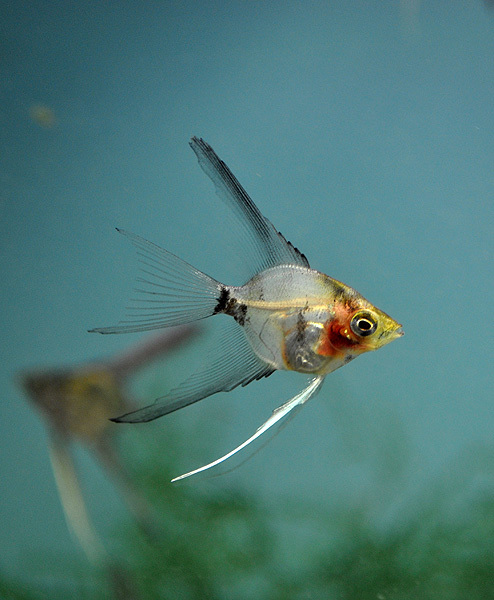 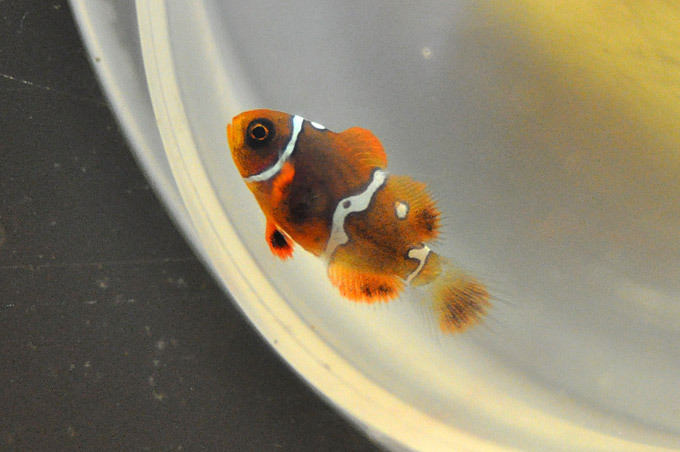 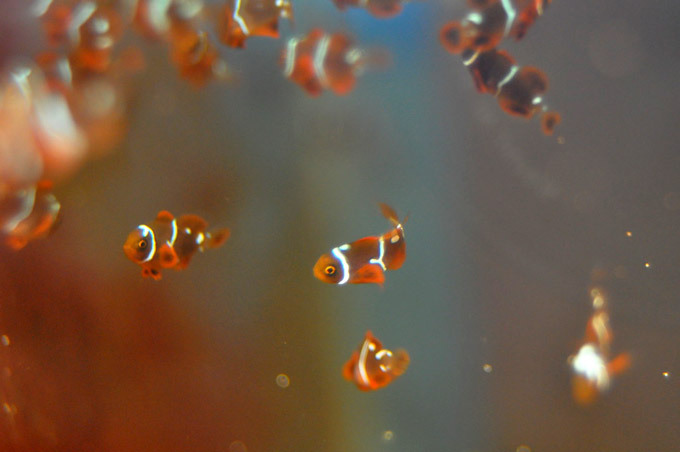 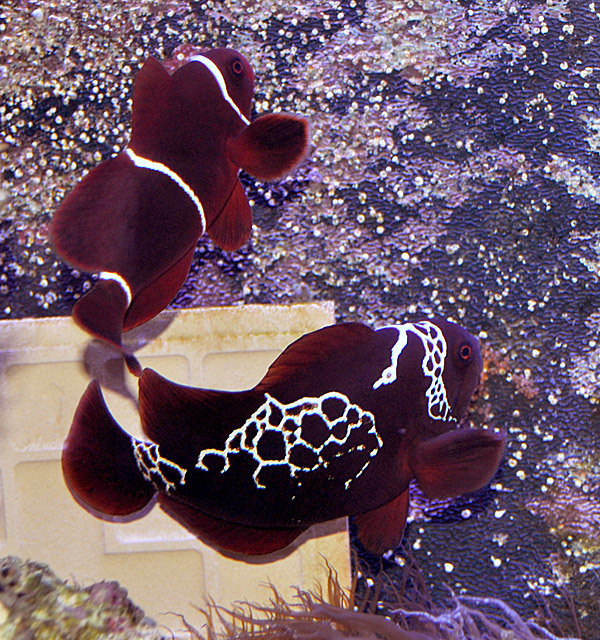 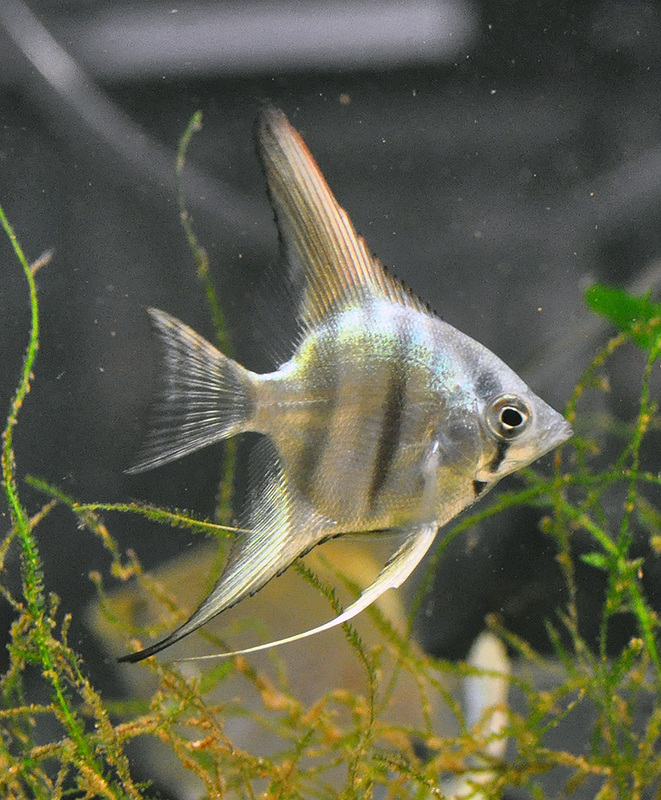 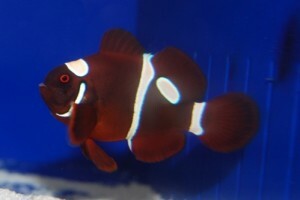 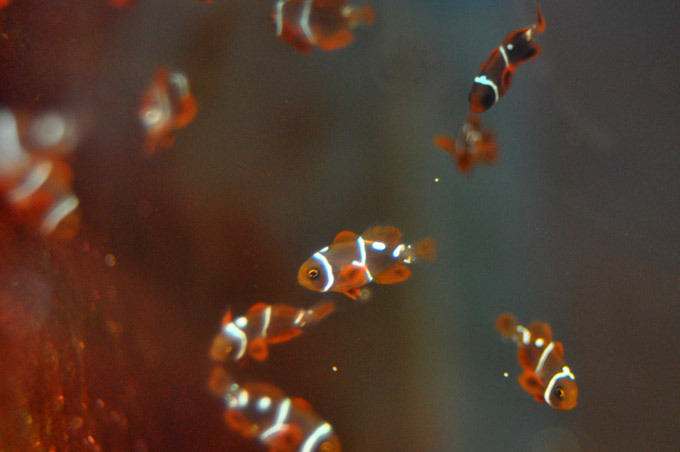 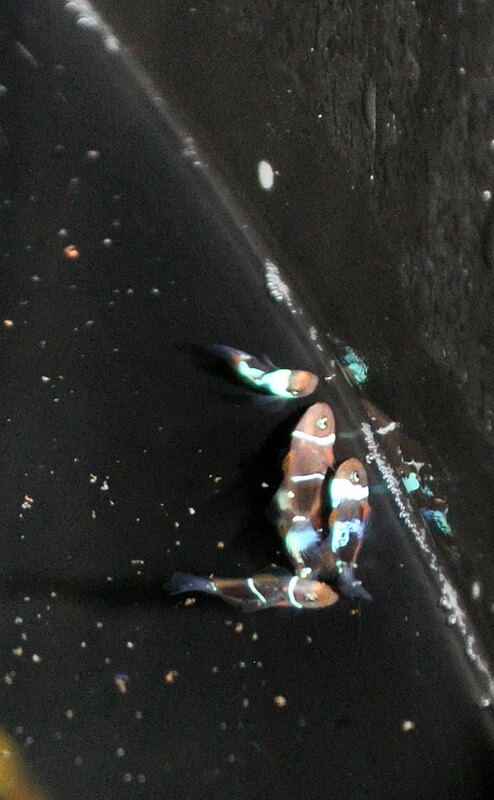 Mid September, 2012, ORA released the news that they have developed a line of Goldflake Maroons from aberrant offspring of their Goldstripe breeding program. 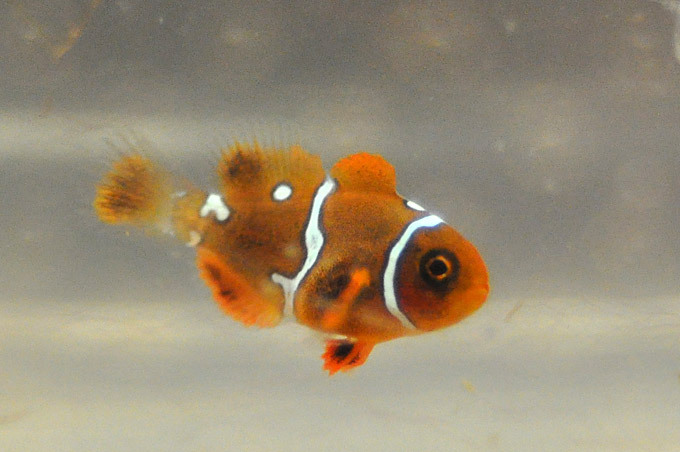 I discussed this fish briefly with Dustin Dorton at MACNA last weekend…it seems they don’t quite have the genetics nailed down yet. 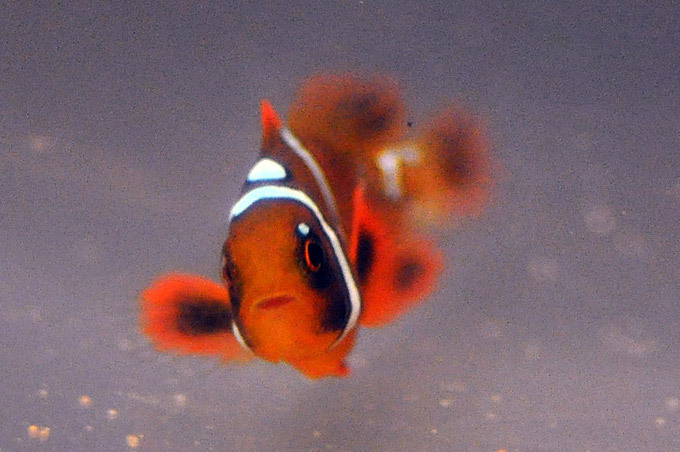 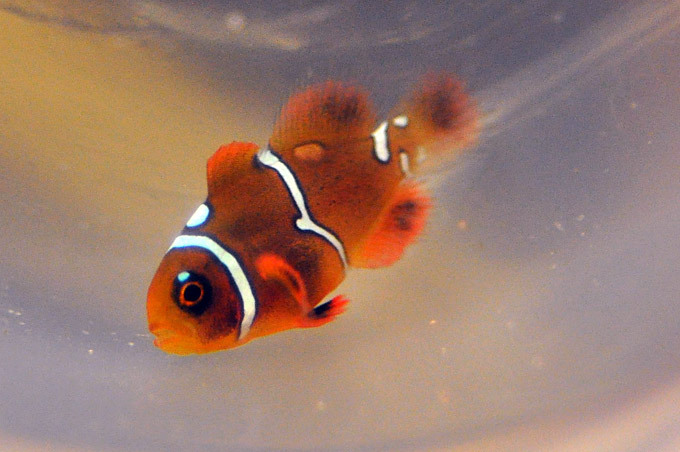 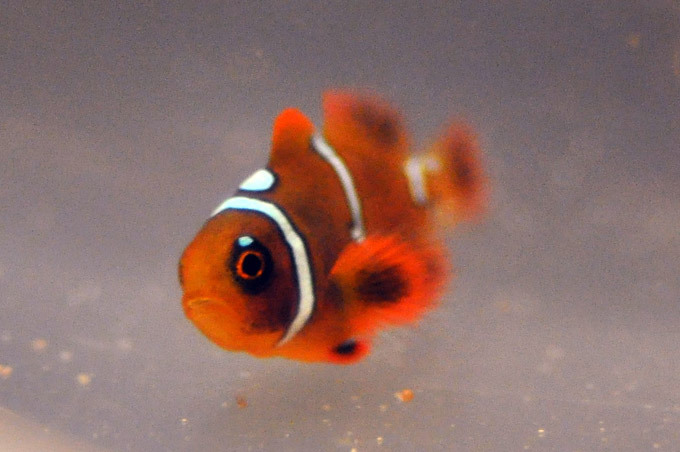 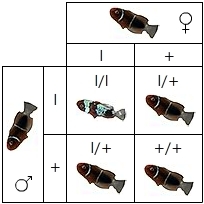 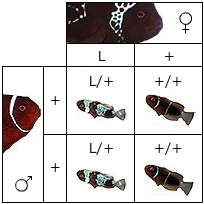 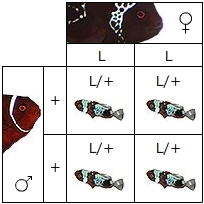 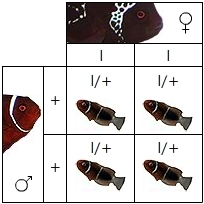 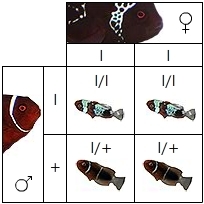 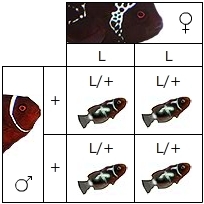 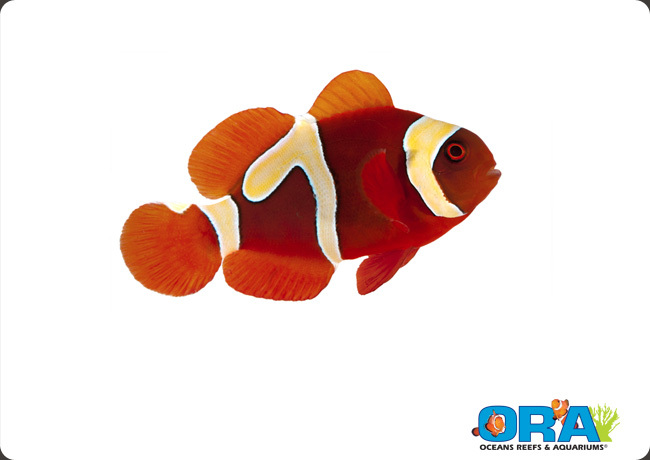 When the staff at ORA does figure it out, I hope they will embrace the new tradition of genetic transparency that’s sweeping clownfish breeding and disclose their findings. 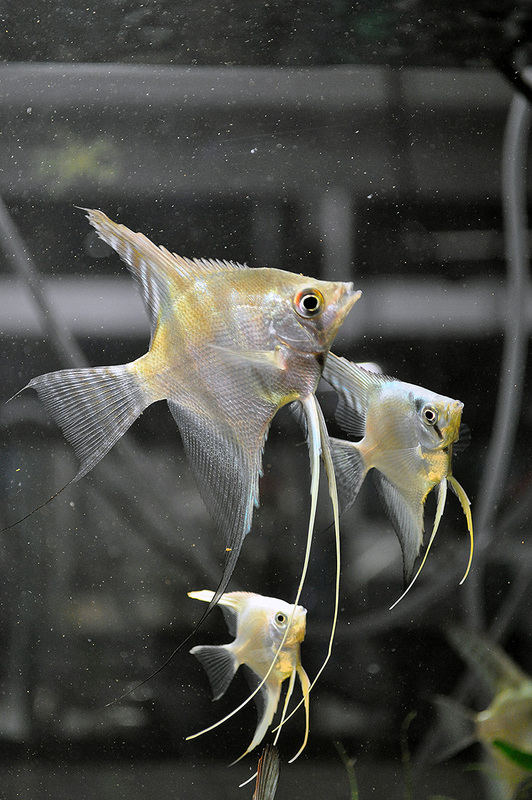 As I demonstrated at MACNA when I showed the Angelfish genetics, transparency forces breeders to focus on producing quality fish, and that’s something that helps us all.